File People have flocked to Parkview Field for baseball and more in the decade since its debut, making it a downtown staple. “If we're still calling it 'new,' that's great,” Nutter said in an interview last week. But in fact, it's been a decade since the baseball stadium opened for business. That point was brought home Monday when the Fort Wayne Redevelopment Commission approved replacing Parkview Field's sound system, which had been projected, accurately, to last eight to 10 years. When Parkview was preparing for its first Opening Day, some residents doubted the new facility would be around long enough to need to start replacing systems. Indeed, when the long, impassioned community debate over whether Fort Wayne needed a downtown baseball stadium began, the “no's” were close to pitching a shutout. Nutter remembers the moment he knew the tide had turned. In March 2009, before the first pitch had been thrown, the team hosted what it expected would be a low-key open house for community members who wanted to see the new facility. Instead, “it was thousands of people,” Nutter said. In those days, not even Nutter would have suggested the park would be as successful as it has proven. More than 4 million people have attended games in the first 10 seasons, an average 5,782 per game – more than 58 of the nation's 59 other Single-A teams. 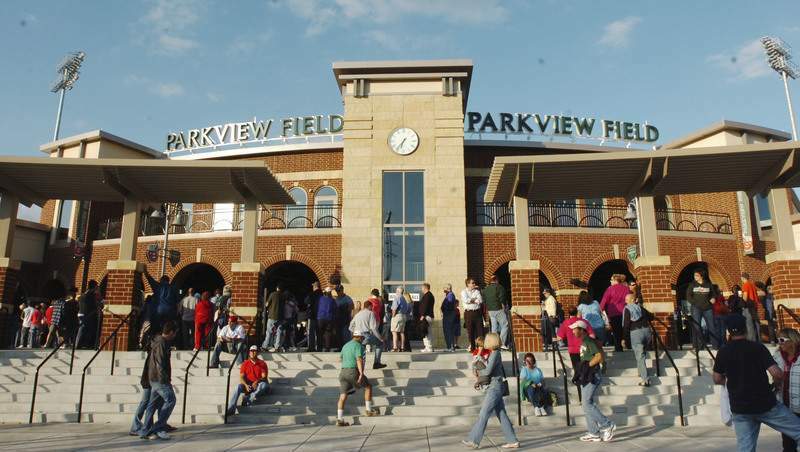 Parkview's general excellence as a ballpark has been recognized by baseball-industry magazines. And perhaps most amazingly, the park has drawn more than 1,221,395 people to non-game activities – more than 700 functions each year, from parties, weddings and batting-practice get-togethers to the regionally known Fort-for-Fitness races. Though that figure doesn't include the 50 to 150 people who visit the stadium on their own on nice days. Those who walk the stadium or have lunch in the stands symbolize how fully Parkview Field has been accepted as a vital, central part of downtown. Parkview's decade of success does not mean, of course, that Fort Wayne should uncritically jump into every proposal and every public-private partnership that comes down the pike. But it argues for keeping an open mind about boundary-stretching ideas. Parkview Field has helped build community pride that has led to such efforts as The Landing, Electric Works and Riverfront Fort Wayne. And it offers a lesson we sometimes are tempted to forget: Courage and determination can make a difference.